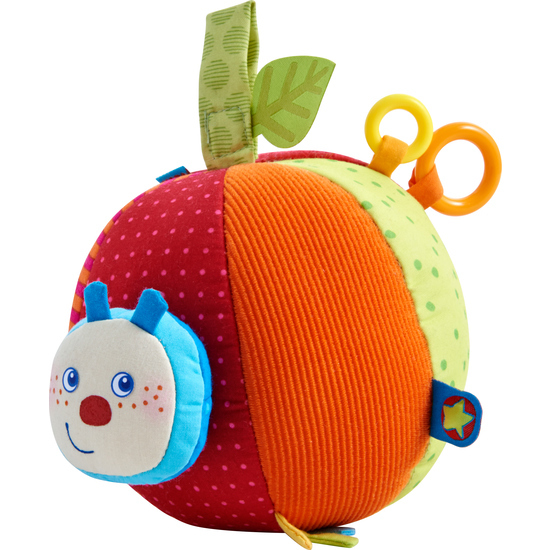 Round and thoroughly colorful – playtime fun gets rolling! Every baby crawls after the cheerful colors, diverse fabrics and treasure trove of playtime features. There is so much to discover and explore, especially the adorable caterpillar whose clatter motor pulls her back in when she’s pulled out.